Foraging expert Matthew Dorich joins us to lead a group into the woods to discover the weird and wonderful world of mushrooms and toadstools. 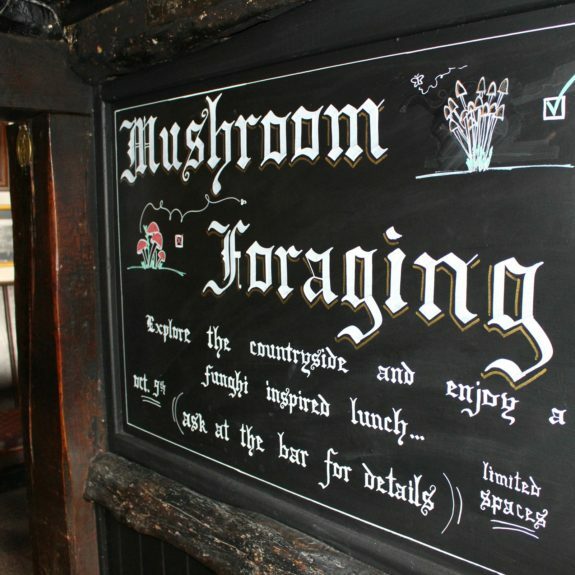 After a brief gathering here at The Crown at Bray we will all head to local woodland, via coach, where we’ll collect different varieties of edible mushrooms. After a quick forest snack of scrambled egg and wild mushrooms, we’ll head off to another area of the local countryside to discover more varieties of fungi to identify. When the baskets are full we will head back to The Crown for a few glasses of wine and a unique mushroom-inspired lunch developed by our Head Chef for this very special event. Places are extremely limited for this event so to avoid disappointment please call our Reservations team on 01628 621 936 and leave your details. We will contact you closer to the time to confirm your place. 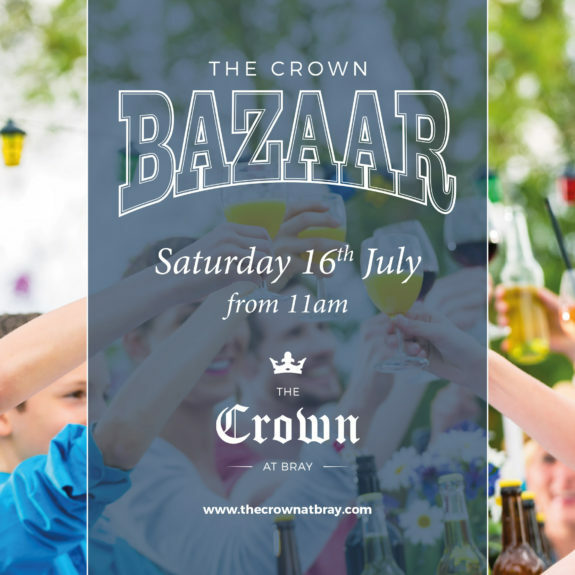 Join us at our 4th annual Crown Bazaar where you’ll find fun for all the family in our garden. BBQ and garden bar, stalls with edible goodies and gorgeous gifts, bouncy castle, facepainting, village fete games, raffle and lots more! Free admission for all. This morning we found out that we topped the poll for Best Destination Pub in Muddy Stilettos’ awards for businesses in Berkshire. Every time we win something, especially when it’s by popular vote, we’re genuinely delighted. We’d like to say thank you to our customers who took the time to vote and chose us as their favourite pub. Recently we were thrilled to have been named the Best Pub In Berkshire at the The National Pub & Bar Awards 2016. 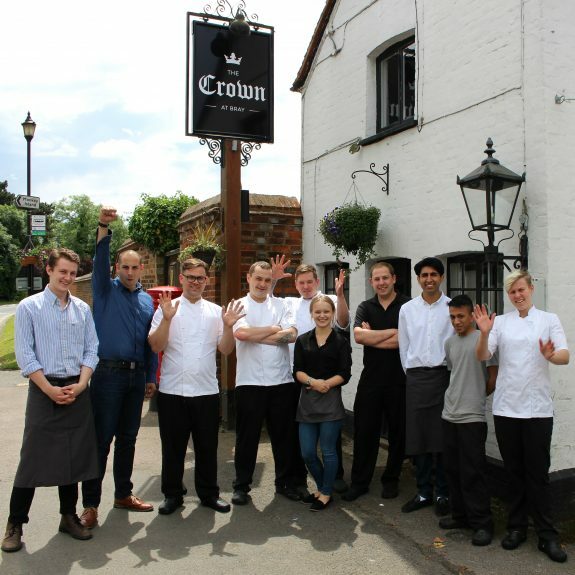 Very exciting news and due in no small part to the fantastic sense of teamwork amongst the staff, ensuring that the kitchen and our front of house operations run smoothly and our customers always have a great experience when they’re here. We look forward to welcoming you soon.